Smith-9th Street station. Photo courtesy of MTA New York City Transit. The Ferrara Brothers’ concrete conveyor belts, visible from the Smith-9th Street station of the F and G lines, have reduced to scrap. 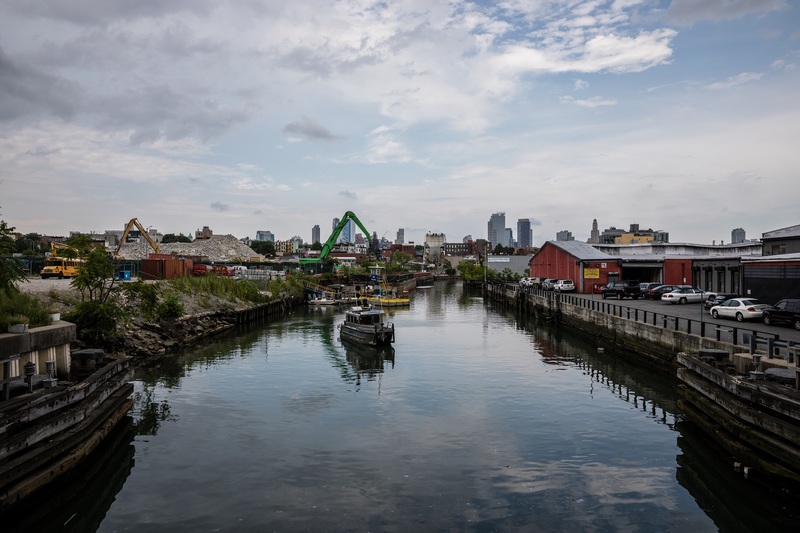 The company is opening a new plant in Sunset Park, and the Gowanus site is slated for residential development. In the meantime, however, a group of urban explorers have put the location to other uses. Fifty of them, led by writer Hannah Frishberg and a member of the urban explorer group LTV Squad, descended on the site on a recent Friday night, scattered some beach toys, lit some candles and painted the walls of one of the remaining structures. They cooked hot dogs, played with a beach ball and listened to a stand up comedy set, according to Gothamist.